Fast free shipping Fantastic design for your invitations/ cards/ envelopes. 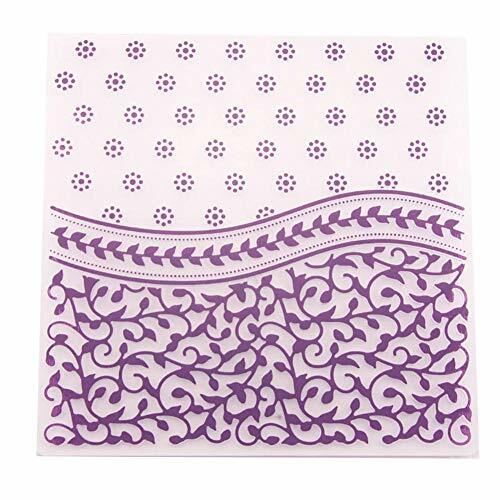 Darice's Embossing Folders work with embossing machines to produce beautifully embossed paper crafts. 5 inch by 7 inch Size. Sturdy Plastic material. 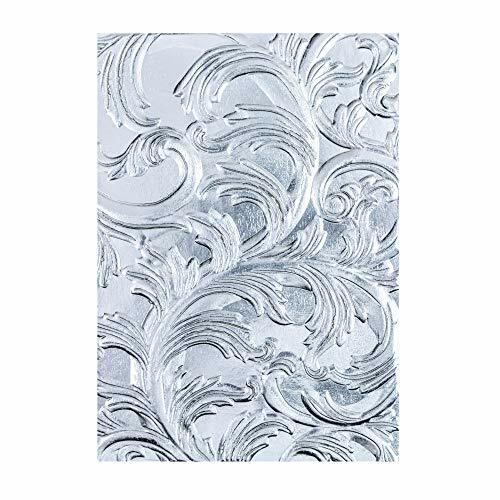 Creates embossed cards. 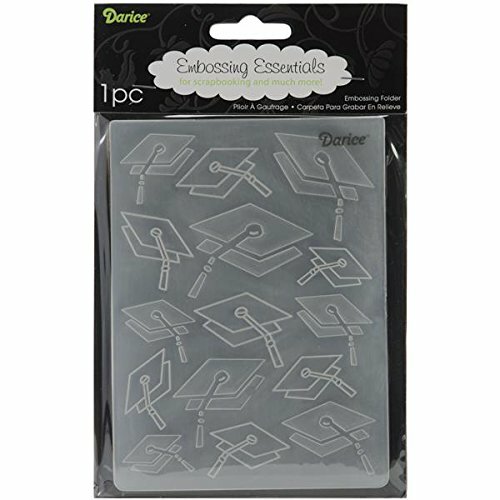 Darice's Embossing Folders work with embossing machines to produce beautifully embossed paper crafts. Create a big impression! Our Embossing Folders turn cardstock, paper, metallic foil & vellum into an embossed, textured masterpiece. 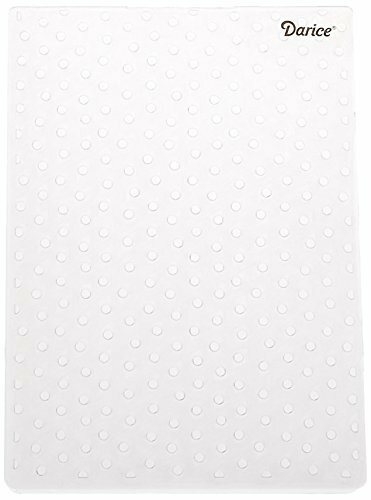 DARICE-Embossing Folder. 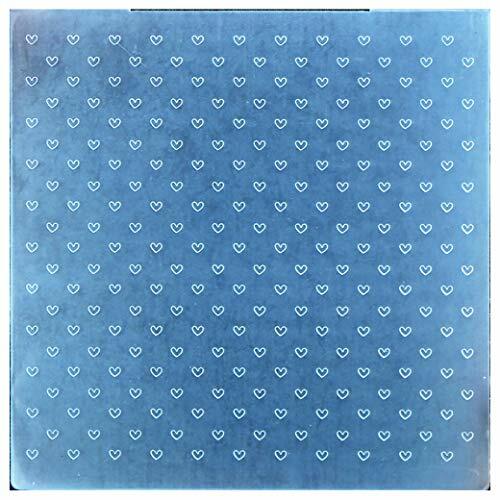 Add texture and style to your paper and cardstock projects with Darice's embossing folder The folder measures 5-3/4x4-1/4 Inch and will fit most embossing machines. Each package contains one folder. Available in a variety of designs: each sold separately. Imported. The folder measures 5-3/4x4-1/4 Inch and will fit most embossing machines. With Darice's Embossing Folders you can create individualized greeting cards and scrapbook designs. 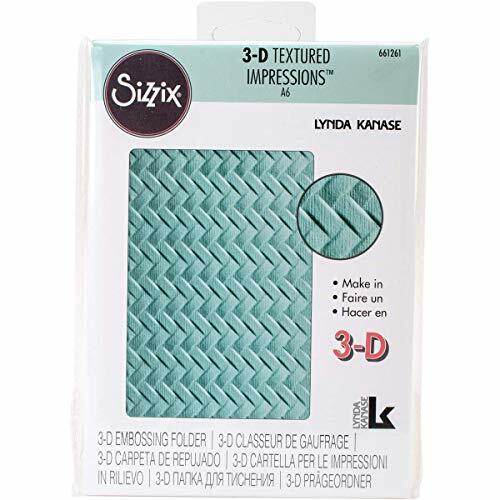 Perfect for paper craft embossing with popular embossing machines, including the Cuttlebug and the Sizzix BIG kick machine. Select your own card stock and embellish with paint, glitter, color markers, stamps and more. 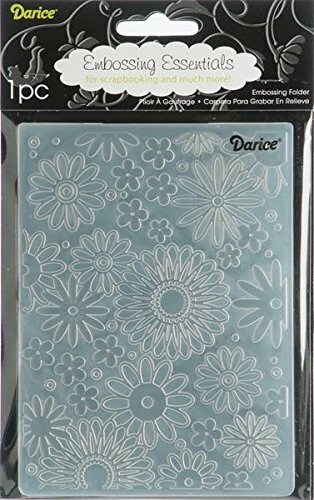 Darice-embossing folder. 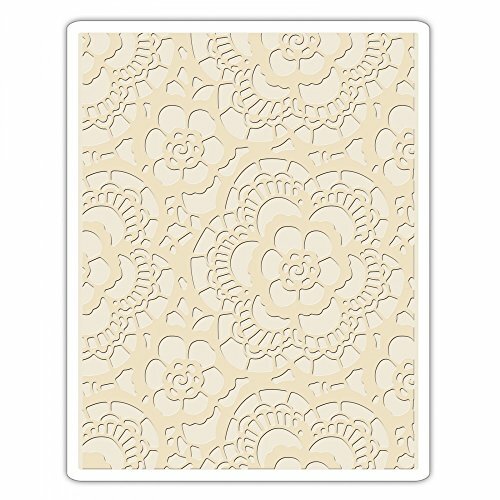 Add texture and style to your paper and cardstock projects with Darice Embossing folder! The folder measures 5-3/4x4-1/4 inches and will fit most embossing machines. Each package contains one folder. Available in a variety of designs: each sold separately. Imported. 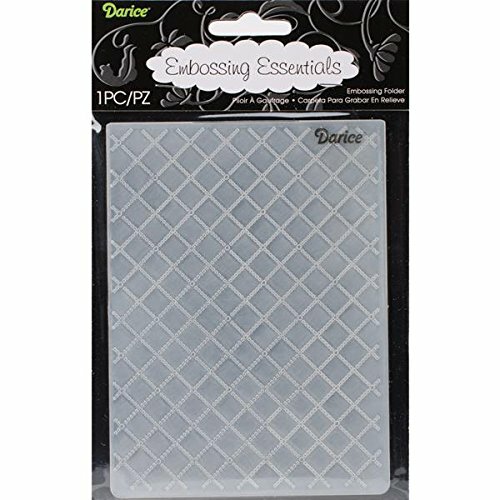 This Darice embossing folder storage case is essential for organizing your 4.25 x 5.75 inch embossing folders. 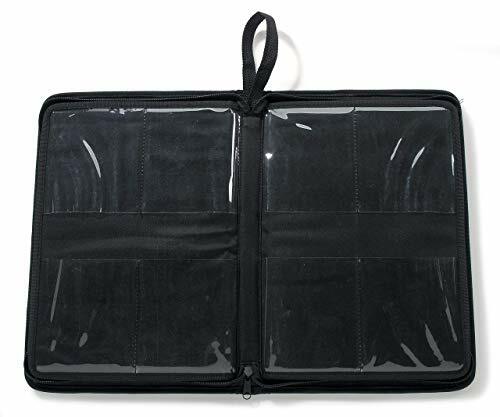 This high quality black nylon zippered binder case has 40 storage pockets for keeping your embossing folder collection organized. 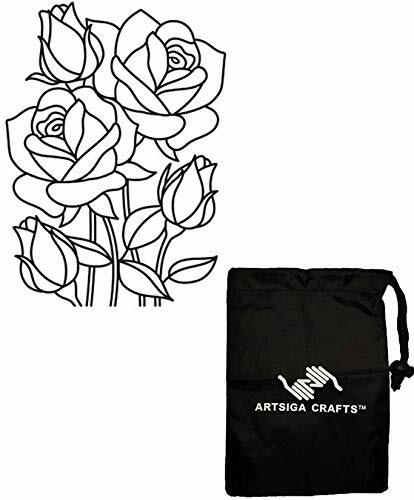 This affordable embossing folder storage case measures 14.25 x 10 x 1.75 inches. 1 case per package. 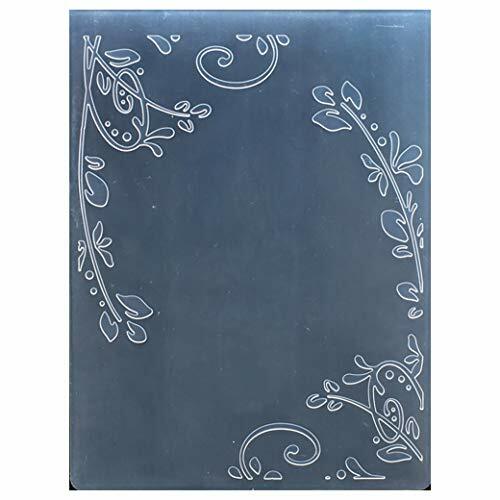 This beautiful embossing folder from Darice Embossing Essentials features a butterfly and swirl design. A pretty addition to any handmade card front, this folder is also a pretty addition to a scrapbook layout. 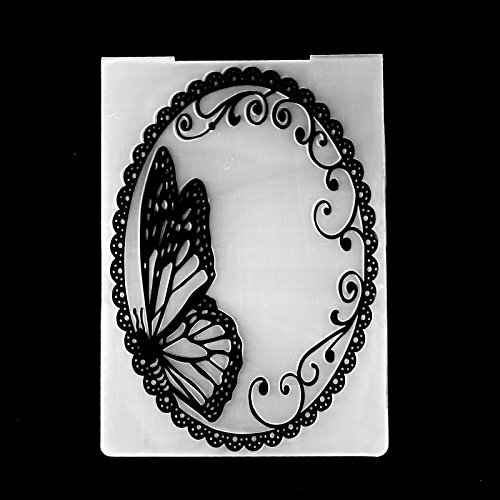 One 4.25 x 5.75 inch Butterfly Swirls embossing folder per package. Looking for a versatile embossed background design? 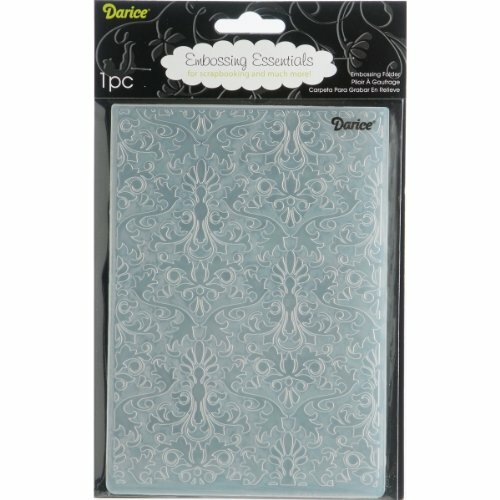 The 4.25 x 5.75 inch Scroll Background from Darice Embossing Essentials is perfect for a variety of paper crafts. Try using it to make pretty cards, embossed photo mats, textured layouts and more. One piece per package. 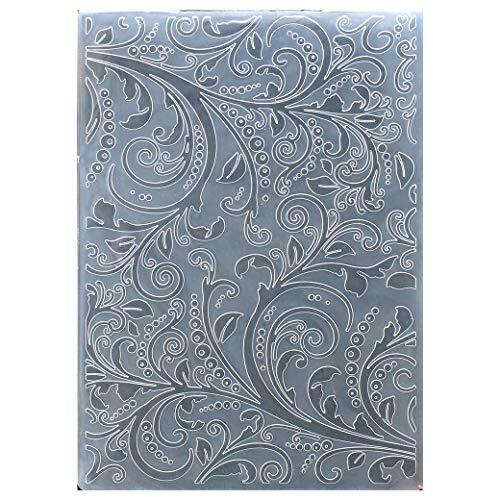 GORGEOUS SCROLL DESIGN - The scroll background embossing folder adds elegance to your project. With one concave and one convex side, you can easily get the beautiful pattern on each side of your sheet at one time. ADD TEXTURE TO PROJECTS - Embossing adds texture and style to your projects. 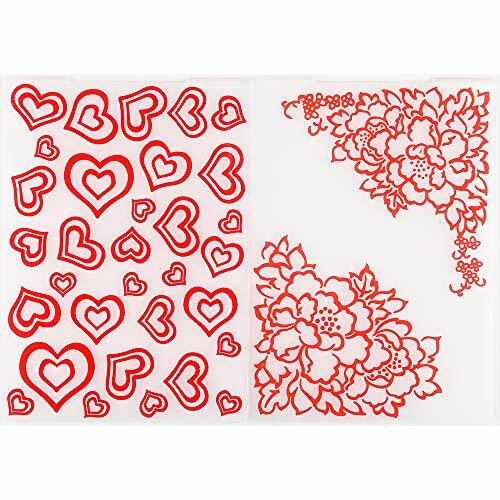 Great for cards, scrapbooking, home d cor and a variety of other paper crafts. Customize your finished piece with markers, paints and embellishments. FITS MOST EMBOSSING MACHINES - The scroll background folder measures 5-3/4 x 4-1/4 and will fit most tabletop embossing machines. They are very easy to use and easy to clean. 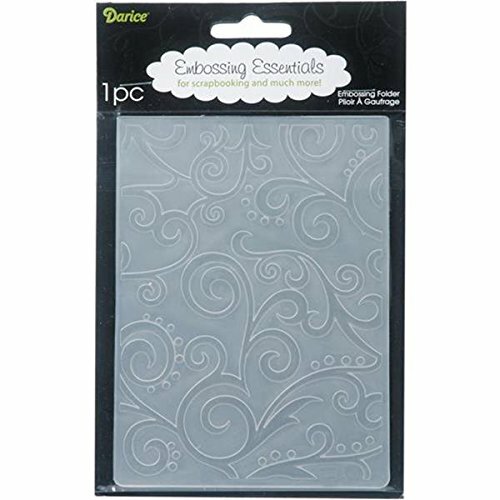 VARIETY OF DESIGNS - Darice embossing folders come in a wide variety of fun designs, patterns and sentiments. Each folder sold separately. 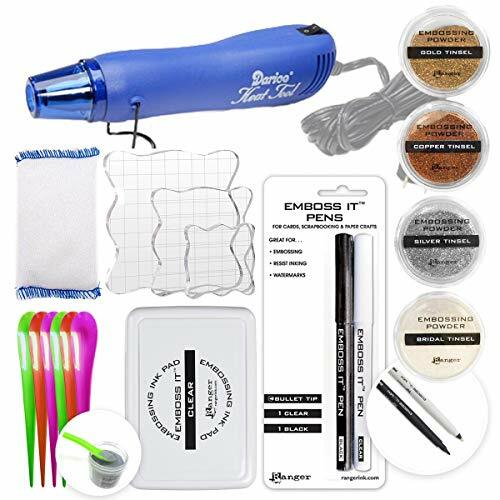 BUNDLE INCLUDES - Multi-Purpose Heat Tool, White, Silver, Copper, Gold Embossing Powder, Emboss-it Pens and Ink Pad, Embossing Magic Pad, 3x Acrylic Stamp Blocks, Craft Scoops. 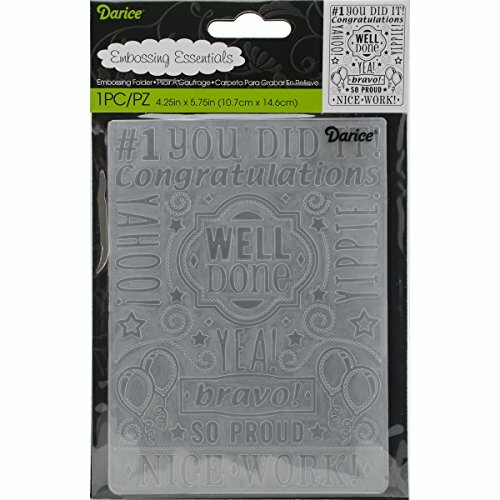 HEAT TOOL & ACRYLIC STAMP BLOCKS - Darice Multi Purpose Embosser Heat Tool: Emboss and shrink-wrap to your heart's content with this handy heat gun. Ranger Inkssentials Embossing Pens, 2-Pack: Pens contain a specially formulated ink that stays wet on paper, providing the tack needed to attract and retain embossing powders until they are cured with heat. 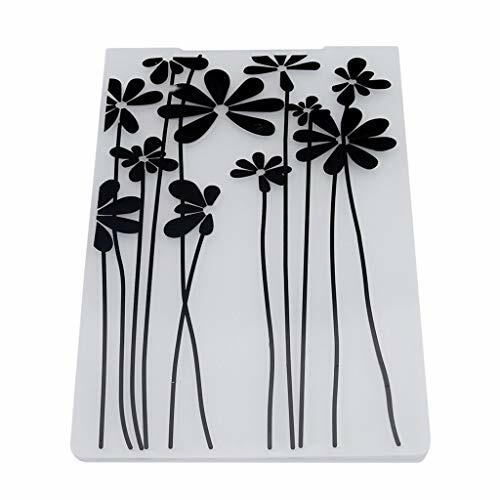 ACRYLIC STAMPING BLOCKS - Pixiss Acrylic Stamp Blocks 3 pack (5.5cm*5.5cm, 7.5cm*7.5cm, 10cm*10cm) (8mm thick.). EMOSSING PENS & INK PAD - Ranger Emboss It Pens, Clear and Black. Ranger Emboss It Embossing Ink Pad. MAGIC PAD & SCOOPS - Inkadinkado Embossing Magic. Prevents stray embossing powder from ruining your projects. Simply rub Embossing Magic over the surface to be embossed before stamping, then stamp, and emboss as usual. 4x Pixiss Craft Spoons help with scooping and placing your powder. 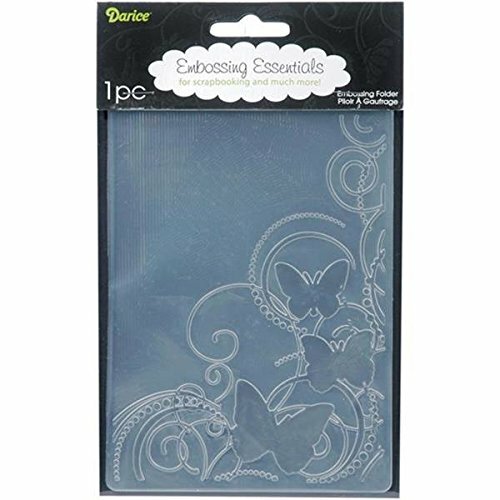 EMBOSSING POWDERS - Embossing powder is the perfect way to add new life to your embossing projects. Add it to wet ink, dry it, and watch it create a whole new dimension! .15oz bottles of Gold Tinsel, Copper Tinsel, Silver Tinsel, Bridal Tinsel. Non-toxic and acid free. A handwritten thank you card says a lot in today s digital age. We have selected our favorite floral, birthday, heart designs to help you thank that special someone. 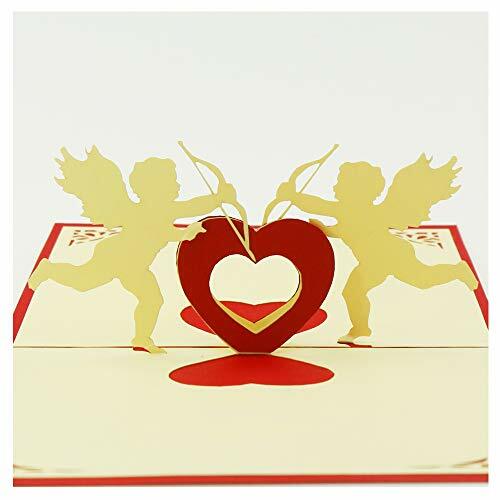 People who open these 3D greeting cards will be surprised and amazed at their unique beauty. Once opening the pop up card, a 3D intricate and delicate angel unicorn will stand on. These handcrafts will express your infinite blessings.
" Whether you ve been looking for a cardmaking kit, or scrap booking starter kit, Brother makes embossing easy. The CAEBSKIT1 cardmaking starter kit includes all the materials you need to create an embossing effect on paper and metal. 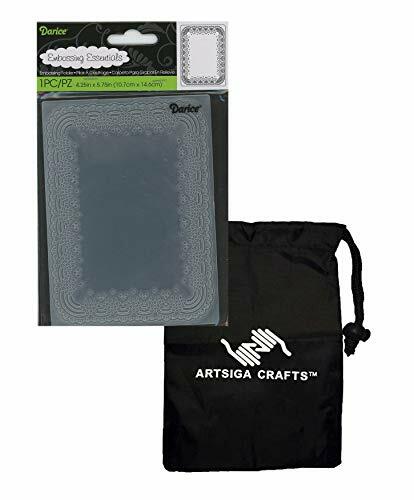 This card embossing kit is best used with Brother ScanNcut or ScanNcut2 machines and offers multiple possibilities for creating unique embossing projects. It s a great scrapbooking starter kit and includes template sheets and an activation code to download 50 embossing patterns via Brother ScanNCutCanvas. The Brother ScanNCut embossing kit allows you to start white embossing projects for starters or for experts. The kit includes (1) embossing mat measuring 12 x 9.5 (305mm x 241mm); 1 embossing tool holder; 2 embossing tools (1.5mm & 3mm); 1 silver metal sheet 7.9"" x 6.1"" (200mm x 155mm); 1 brass metal sheet 7.9"" x 6.1"" (200mm x 155mm); 1 template sheet 12"" X12"" (305mm x 305mm); 1 scanning support sheet; activation code for access to 50 embossing patterns on ScanNCutCanvas and instruction guide. It is recommended for best results, to only use the materials provided with the Brother CAEBSKIT1 kit. It s also best to install the latest version of the firmware. After purchasing this kit, please visit the Brother USA website for details on the download. The kit is intended to be used with either the Brother ScanNCut or ScanNCut2 machines. 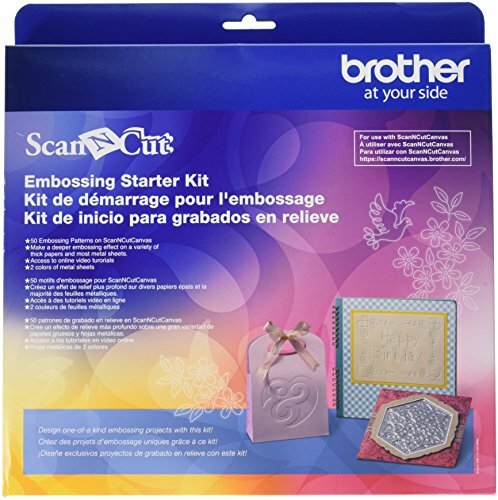 PERFECT EMBOSSING STARTER KIT: The Brother CAEBSKIT1 cardmaking starter kit includes everything you need to design customized embossing projects. SCRAPBOOKING STARTER KIT: This scrap booking starter kit includes multiple tools including template sheets that will help you with scrap booking. EMBOSSING ON PAPER OR METAL: The CAEBSKIT1 cardmaking kit includes materials and supplies that allows embossing on both metal or paper. REGION AND LINE EMBOSSING FUNCTIONS: This cardmaking kit allows you to create unique projects with both line embossing and region embossing. MULTIPLE USE APPLICATIONS: Use the kit with CM100DM, CM250, CM350, CM350H, CM350R, CM550DX, CM650W, CM650WX, DC200, DC200ULE Brother machines. Give your hand-made cards and scrapbook pages a polished touch with embossing folder borders. 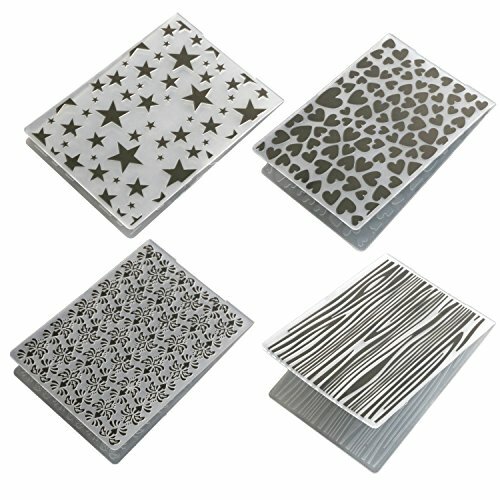 Each package contains embossing folder borders with unique and themed designs for a variety of occasions. This set has a congrats collage design theme. The embossing folders can be used with most embossing machines. The folders can be used with most embossing machines. 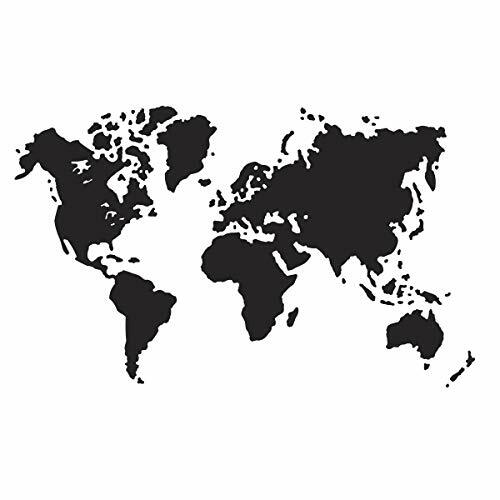 Appreciate the earth's whole surface with this world Map embossing folder. It's 4.25 x 5.75 inches, and it makes a versatile design for business-style, invitation, and personal greeting cards. 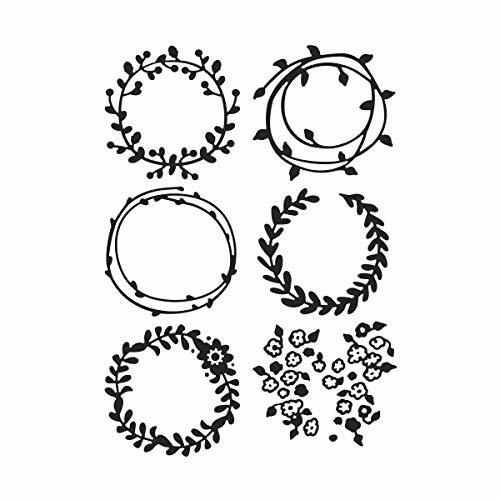 Accentuate the positive with this easy-to-use wreaths embossing folder. The 4.25 x 5.75-Inch folder creates six elegant wreath styles. Simply use with most popular embossing machines for like-professional results. Brand: Darice DIY Crafts Supplies | Manufacturer: Darice, Inc.
Find new dimensions of creativity! These high-definition baroque flourishes are perfect for backgrounds with amazing detail. It's a must-have for all kinds of paper crafts and mixed media projects. Turn ordinary cardstock, paper, metallic foil & vellum into an embossed, textured masterpiece. Our 3-D Texture Fades Embossing Folders offer the deepest & boldest dimensional embossing experience with a truly striking result. Compatible with Size Big Shot, Size Big Shot Express, Size Big Shot Foldaway, Size Big Shot Plus & Size Big Shot Pro. Used with a single Cutting Pad & the machine's Platform. For best results, spray fine water mist onto material before use. Strong & durable plastic - can be used over and over. Environmentally friendly, easy to clean and easy to use. 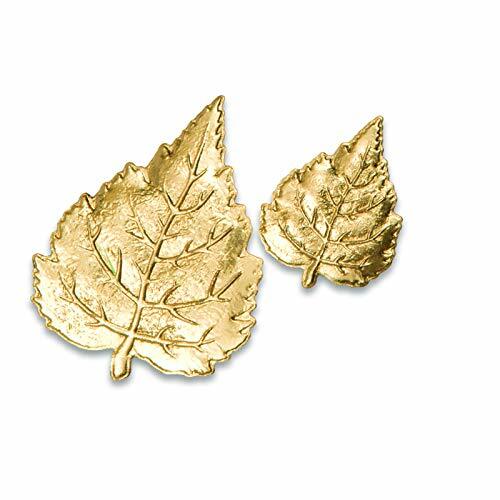 Make lifelike leaves with extraordinary dimension and realistic details in a single easy step. Cut and emboss paper, card, vellum or metallic foil to make leaves in two different sizes with the Leaf 3-D Impress its Embossing folder by Tim Holtz. Impress its Embossing Folder cuts and embosses cardstock, paper, metallic foil & vellum in 1 step. They make the perfect addition to a wide range of occasions & making types such as cards, scrapbooks, gift tags & much more. 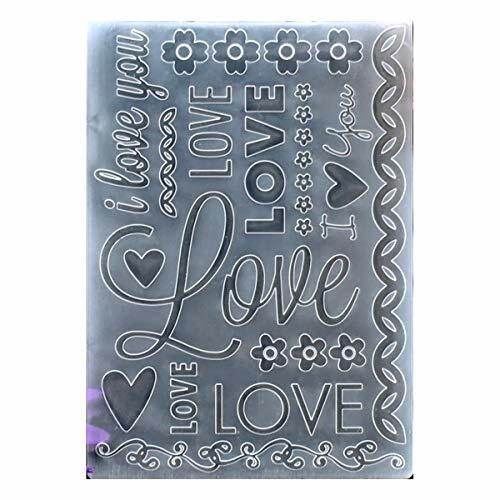 Great for card making scrapbook, paper crafts and cookie caking embossing.